As the Skyway Stage 3, a Php 26.6B project, is on its way to finishing by 2018, here is a nice property worth looking into prior to completion of the Skyway project. 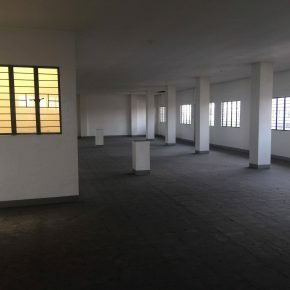 The property has a four storey structure where the front portion serves as a commercial and fully leased out on a month to month basis/ this means that if a buyer wants to buy the property, the tenants need just a 30 day notice to vacate. the back portion of the property has a small warehouse. Best use of the property is for warehousing as one of the Skyway station exits will be near this place. Call us for a FREE PROPERTY APPRAISAL to now how much your property is worth today ! Here is a reading on the Skyway Stage 3 as provided at the DPWH website. 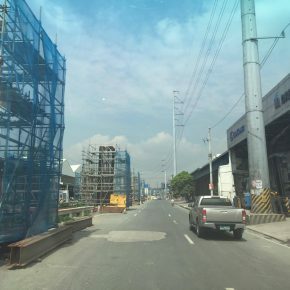 The MMSS–3 Project is an elevated expressway over its entire length from Buendia, Makati City to Balintawak, Quezon City with a distance of about 14.82 kms. and also includes improvement works in selected at–grade sections. It is designed to pull in and ease traffic and access through eight (8) strategically located interchanges: these being at Buendia, Pres. Quirino Avenue, Plaza Dilao and Nagtahan, Aurora Boulevard, E. Rodriguez Avenue, Quezon Avenue, Sgt. 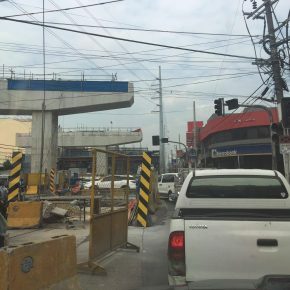 Rivera and Balintawak with a total of fourteen (14) Toll Plazas. It will be the motorists choice corridor servicing Metro Manila intercity travelers. Buendia to Bonifacio Ave. 14.82 kms. Aurora Blvd; and Del Monte to Sgt. Rivera. To complete Metro Manila Skyway System from Alabang to Balintawak as part of the approved agreement by the Philippine Government and the Business Joint Venture Agreement (BJVA) between Citra Lamtoro Gung Persada (CLP) and the Philippine National Construction Company (PNCC). To connect the South Luzon Expressway (SLEX) and North Luzon Expressway (NLEX). To decongest traffic in Metro Manila especially C4 (EDSA), C5 (CP Garcia) and Central Metro Manila. Lesser Travel time, Buendia–Balintawak from usual 2 hours to 15 to 20 minutes Reduces economic losses due to traffic congestion which is estimated at P2.4 billion daily (based on JICA study). Lesser Vehicle Operating Costs (VOC) (gasoline expenses, etc); more than offset the cost of toll fee. Less pollution Promotes economic development, business expansion and tourism in and outside Metro Manila. Overall progress for Sections 1 and 2 as of December 25, 2016 is calculated at 20.556% in relation to DMCI’s contract. Overall progress for Sections 3 and 4 as of December 25, 2016 is calculated at 19.516% in relation to EEI’s contract. Overall progress for all sections is calculated at 19.967% resulting to a negative slippage of 52.252%.